I’ve also been on somewhat of a baking kick lately, much to the delight of mi papa and the dismay of mi mama. He rather enjoys eating all my wonderful baked creations, while she curses the heat it brings to the kitchen by turning the oven on. What can I say– genius causes discomfort sometimes. The great Desi Arnaz would never have achieved such greatness without stepping on a few toes along the way. And on that note, I bring you my latest and possibly greatest muffin recipe to date. 2) Combine first 8 ingredients in a large bowl. 3) Combine all other ingredients except chocolate chips in another bowl. 4) Stir wet ingredients into dry ingredients. Mix until just moistened. 5) Add in chocolate chips. 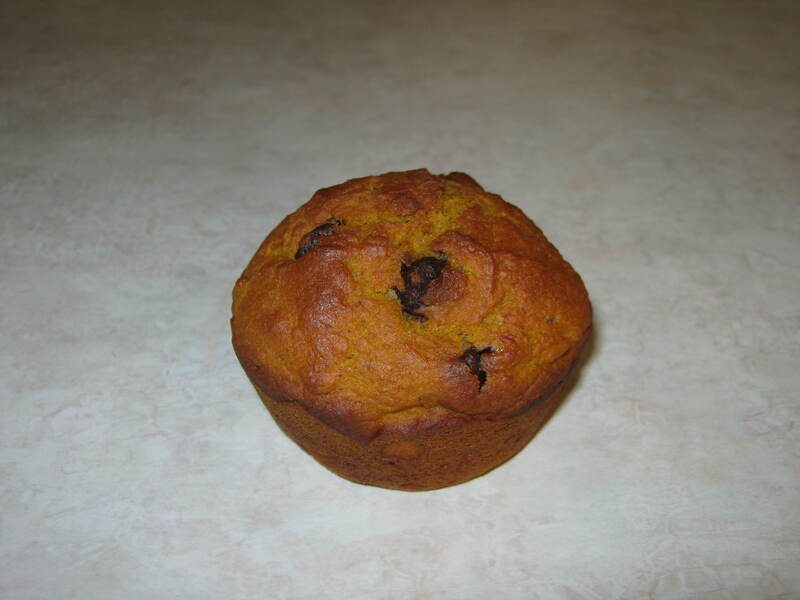 6) Pour into greased muffin cups 2/3 full and bake 20-25 minutes, or until toothpick comes out clean. 7) Allow to cool in pan 5-10 minutes before removing to wire rack. Top with homemade peanut butter, a pat of Smart Balance or just plain if you wish, and devour. No bib required, well unless you’re mi mama– she spills. This recipe makes about 20 regular sized muffins, which is good because they go pretty fast, especially with mi papa around. Oh well, at least I know he’s getting in his daily recommended value of Vitamin A from the pumpkin… little nutrition lesson for ya, kids. 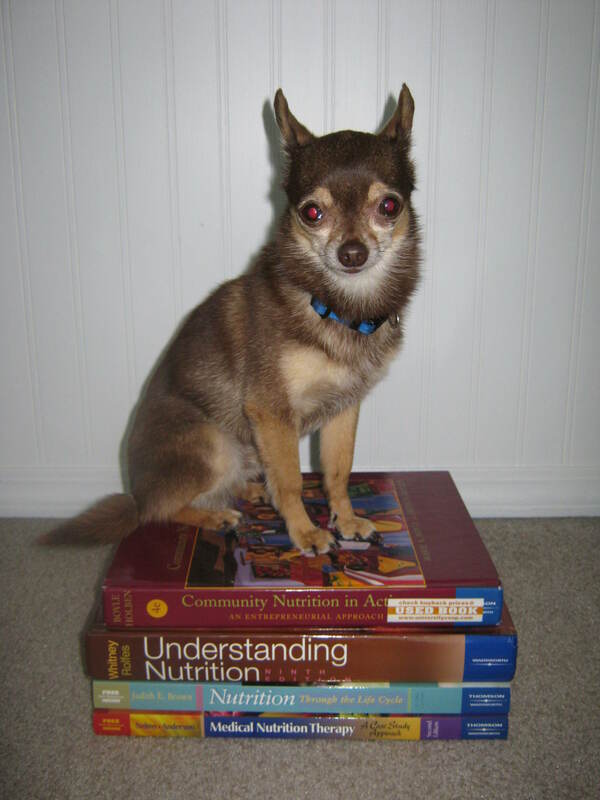 Speaking of nutrition, I must go and brush up on some of my nutrition knowledge. I learn best by osmosis. Sounds yummy! Can you give me some of the nutrition info. on these, like calories, fat, etc. per serving? 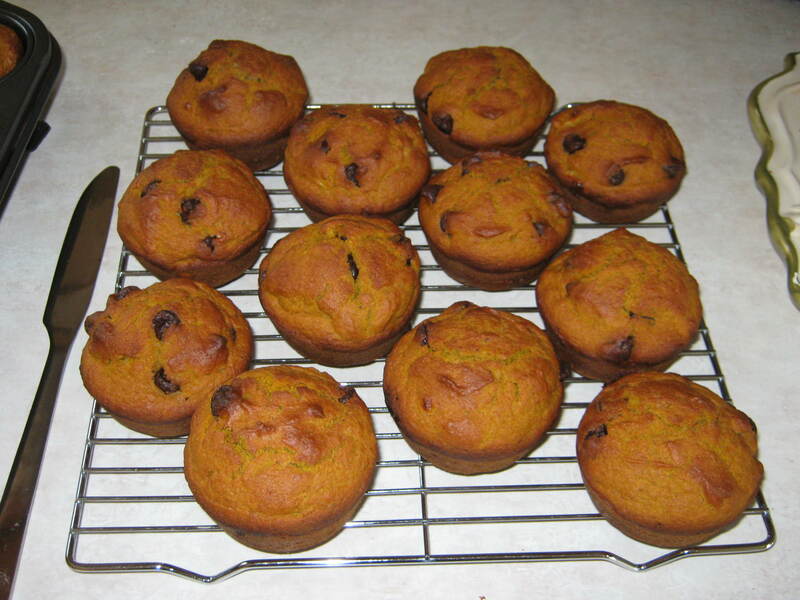 I’ll accept this because they look awesome… muffin man.